I know Christmas is still months away but don't you think this is the perfect time now to look for some presents for your kids? There are many benefits of shopping early, you can actually browse for more new items while they are still on stock coz we all know that nice toys are easy to be sold out. Take a look at that swivel chair, i reckon that is soooo cute, kids can play with that too while they can still use it to maybe sit while eating or reading. 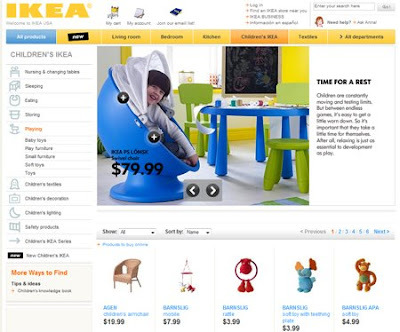 IKEA, never fails to bring new contemporary designs for our house and more,. You just got to love IKEA.